When the weather is warm, there isn’t anything more fun than water. Kids can splash, swim, and have loads of fun while they’re playing. You can keep it simple with a small bin of water (or even the bathtub). 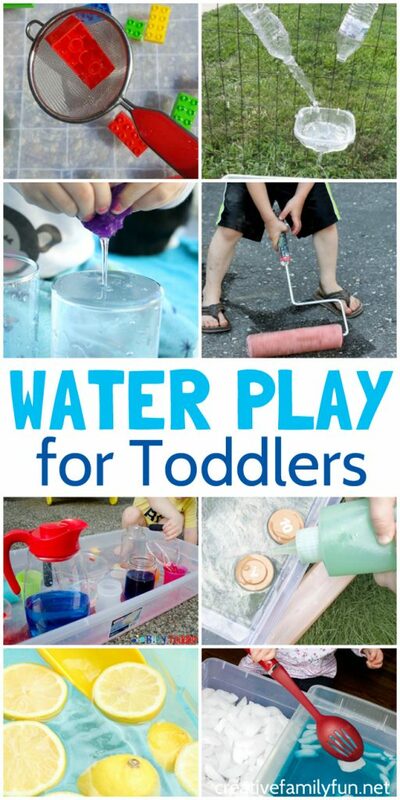 Or, you can have fun with one of these water play ideas for toddlers. 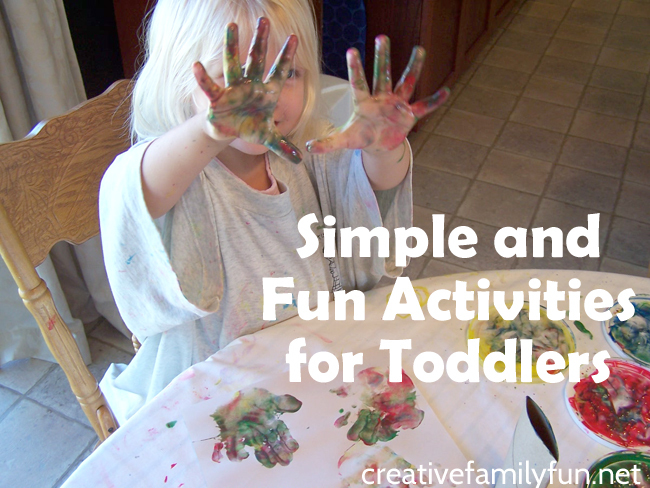 I selected these activities for toddlers because they were fun, simple, and appropriate for your 2 and 3 year olds. But, it’s very important to supervise your child carefully while playing with water. 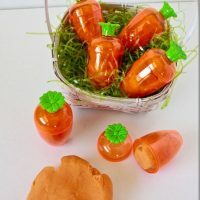 In addition, some of these activities use small items. 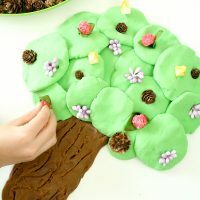 You know your child best, so only choose an activity that is appropriate for them. 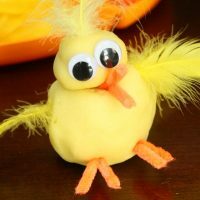 Get out the rubber duckies for this fun Pond Sensory Bin from In Our Pond. 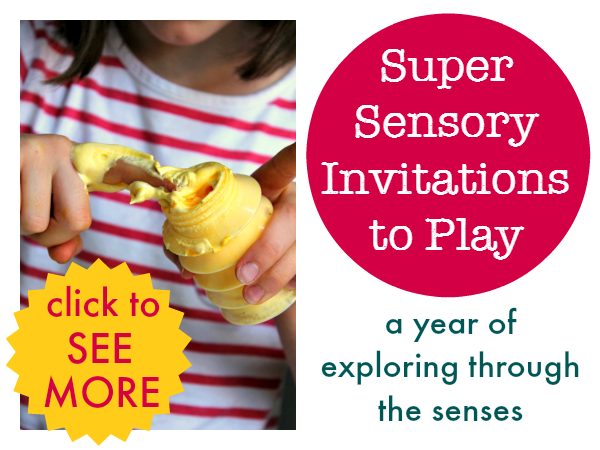 Add lemons to the water for a fun Lemon Sensory Bin from Fantastic Fun and Learning. 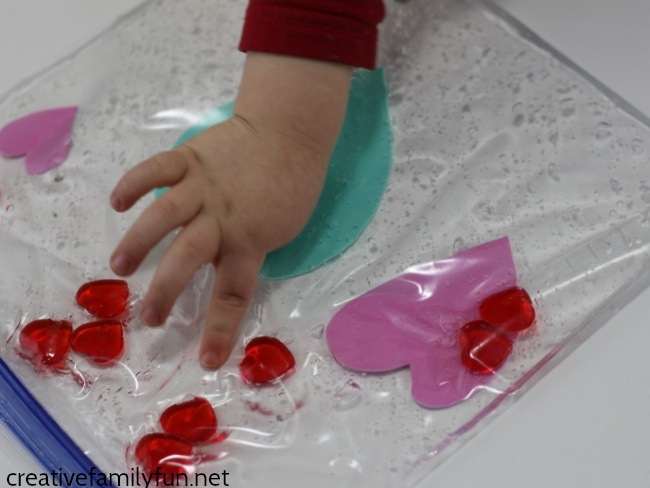 Play with letters in water with this fun Alphabet Sensory Bin from Teaching 2 and 3 Year Olds. 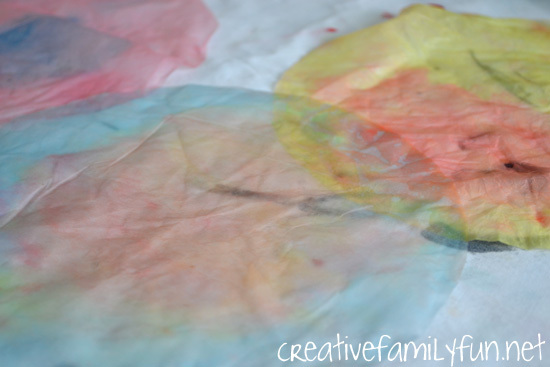 Combine flower petals with water for this Flower Petal Sensory Play idea from Fantastic Fun and Learning. 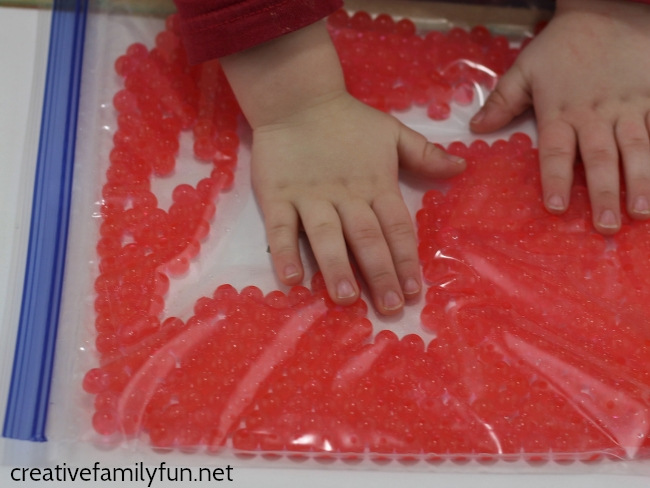 Add some sharks to water for this fun Shark Sensory Bin from Mommy’s Bundle. 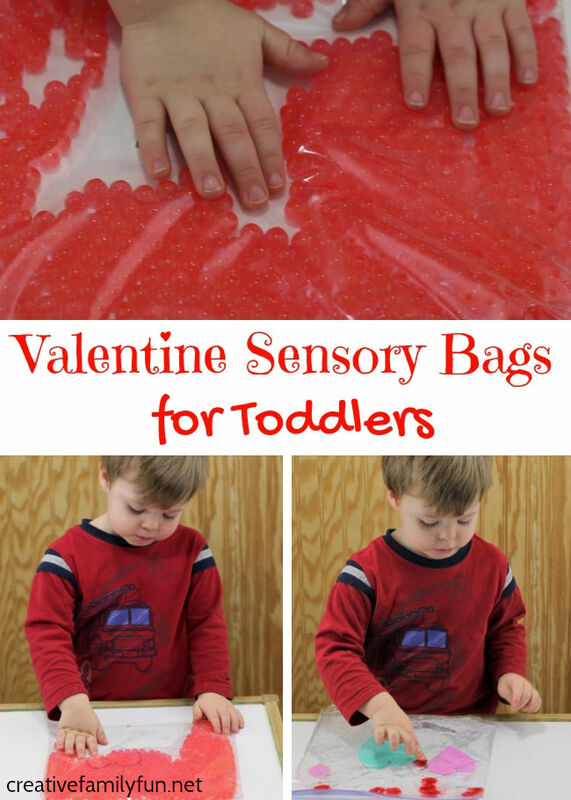 Have fun scooping with this fun and simple Scooping Blocks Sensory Bin from My Bored Toddler. 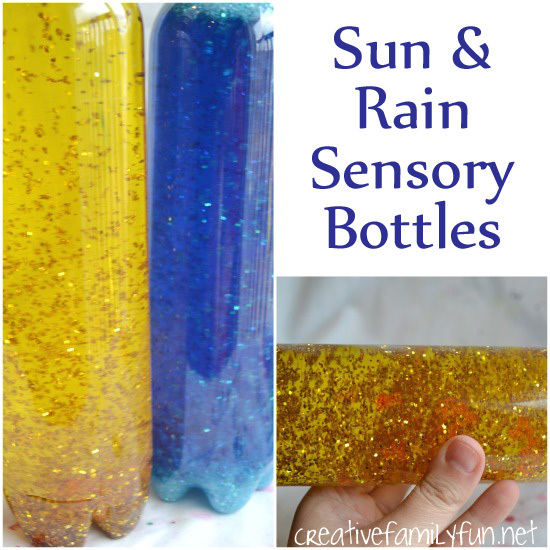 Play with sand and water with this fun Ocean Sensory Bin from Fun Learning for Kids. 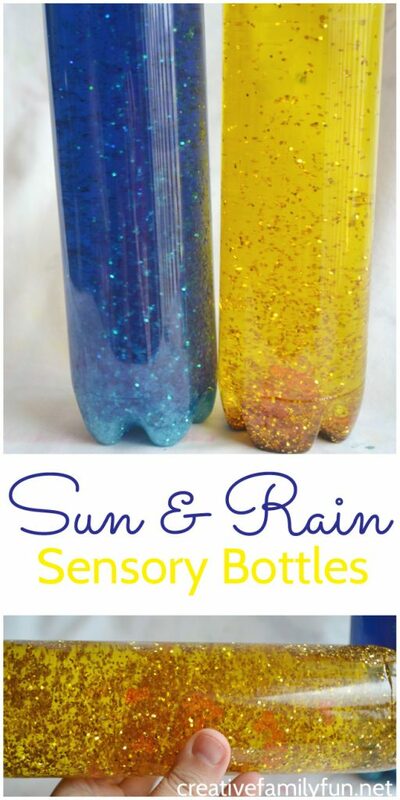 Practice sorting colors with this fun Color Sorting Water Bin from Teaching 2 and 3 Year Olds. Large plastic bins are perfect to use for indoor water play. Try a plastic underbed storage bin. It’s shallow, for easy access and has a lid so an adult can move it with minimal mess. Put a large beach towel underneath to soak up any spills. 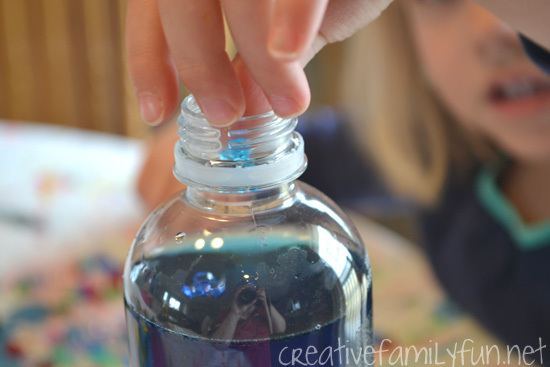 Have fun painting with water with this low-mess and super-fun outdoor activity from Mama Smiles. Get out the hose and spray at targets with this fun idea from Busy Toddler. 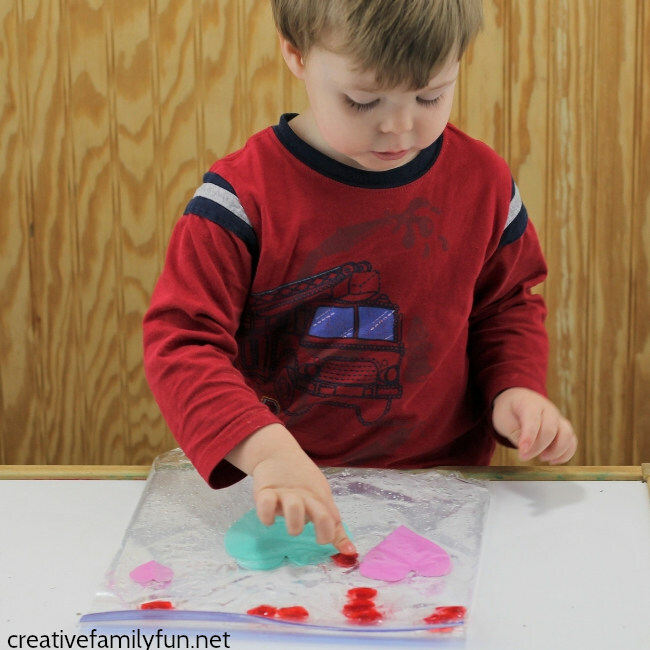 Water the alphabet flowers with this fun driveway activity from Fun Learning for Kids. 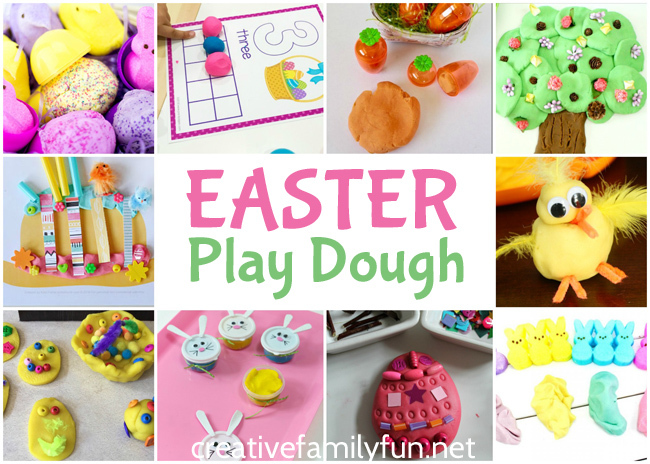 Get out the water sprinklers and have some fun using these tips from Rhythms of Play. 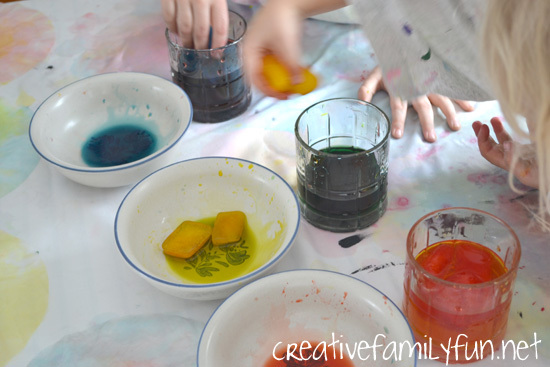 Throw some fun Sponge Water Bombs with this fun idea from Messy Little Monster. 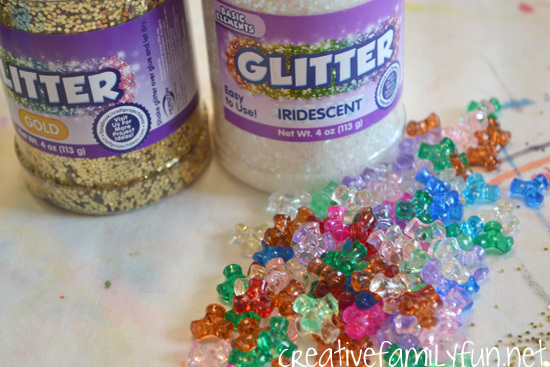 Paint your driveway with water with this fun idea from Hands On As We Grow. An outdoor water table is a great investment for water play. You can choose a simple water table or a fun, themed water table like this pirate ship. 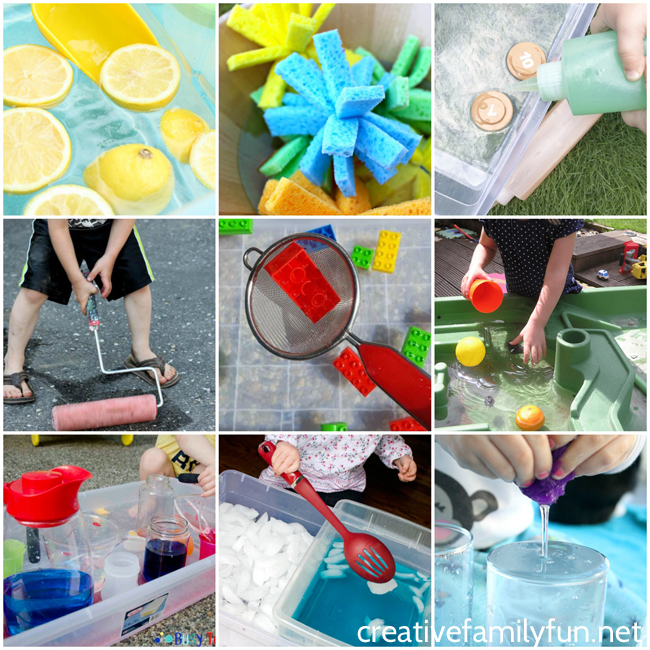 Keep it simple with some pouring and scooping with our water play for toddlers idea. 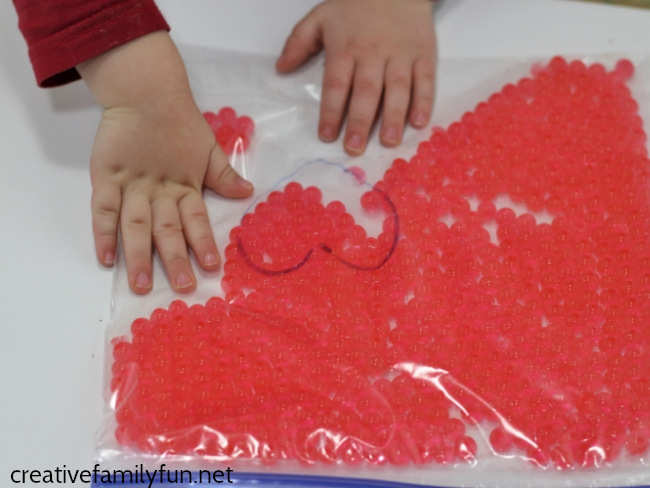 Exercise your fine motor skills with this fun Pom Pom Squeeze Water Play idea from Fantastic Fun and Learning. 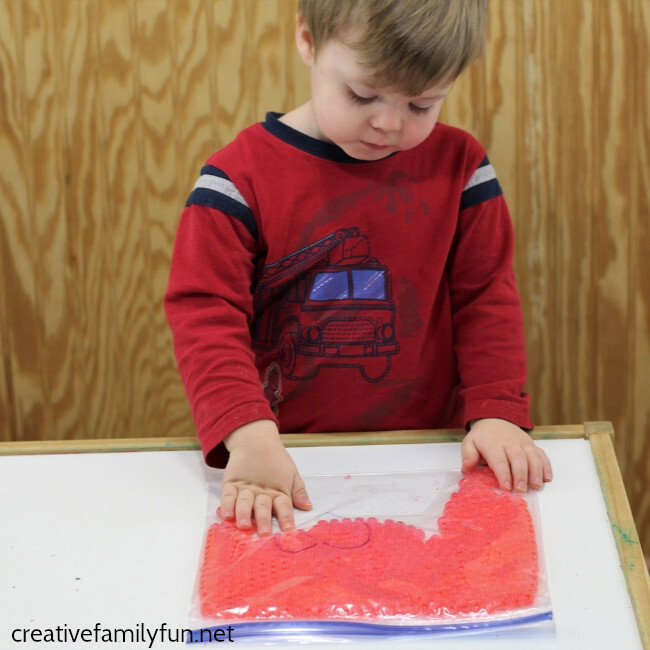 Add some ice to water for this fun scooping and transferring activity from Busy Toddler. 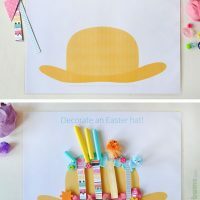 Try some simple science when you see what will sink and what will float with this fun idea from Rainy Day Mum. 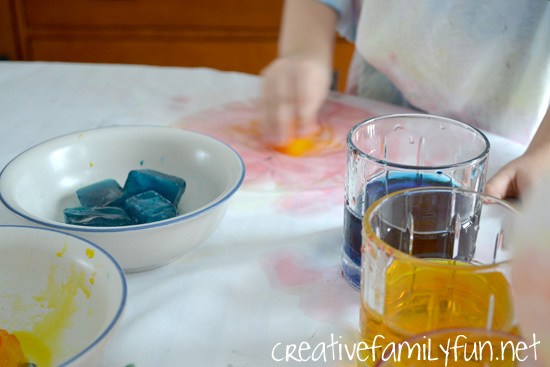 Practice pouring with this fun Pouring Station idea from Busy Toddler. 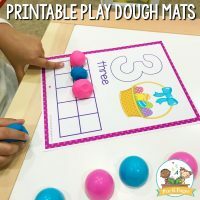 Go Fishing for Numbers in the water table with this idea from Buggy and Buddy. 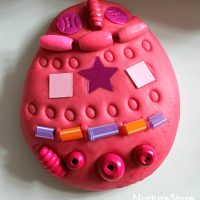 This toy washing station from Busy Toddler is always a popular and fun idea! 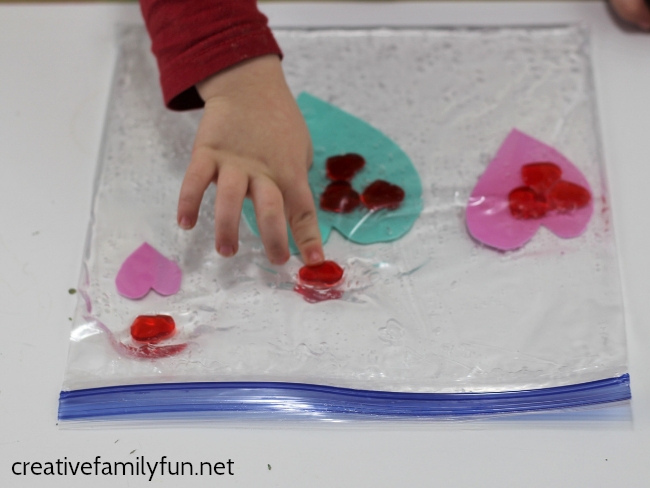 Experiment with a simple Water Wall with this fun idea from There’s Just One Mommy. 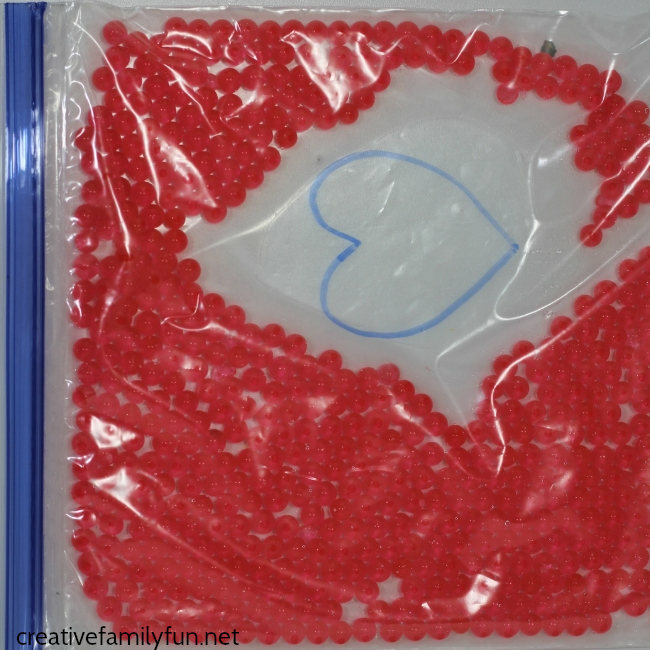 Scoop and pour these fun edible water beads from The Art Kit. 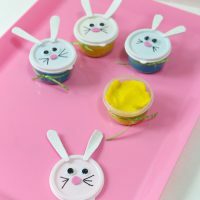 Save your bottle caps for this fun Bottle Cap Soup idea from School Time Snippets. 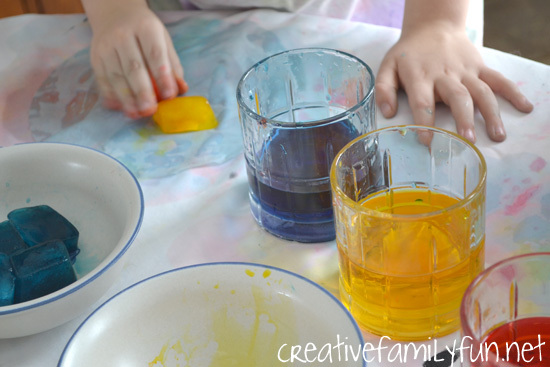 Float some Sponge Sailboats in water with this fun idea from Easy Peasy and Fun. 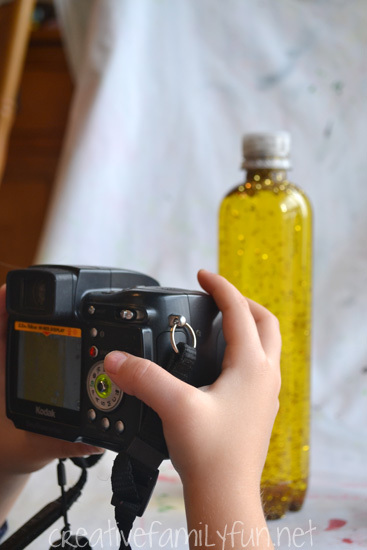 Grab some squirt bottle so you can Squirt the Numbers with this fun idea from Days with Grey. 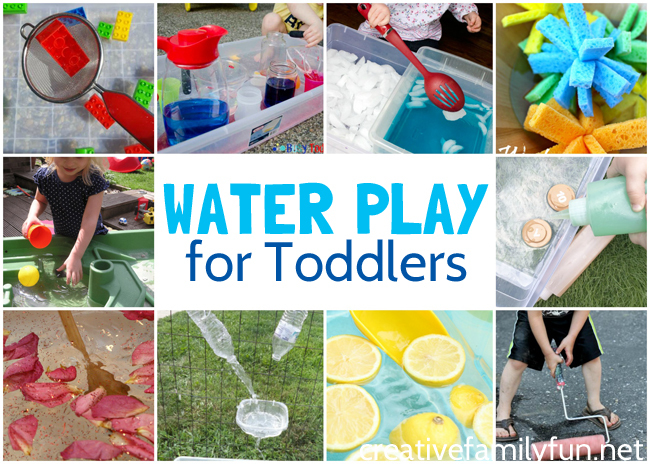 Which of these water play ideas for toddlers do you want to try with your kids? 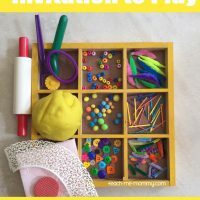 If you enjoyed these fun water play ideas for toddlers, the above photo is perfect for sharing on Facebook or you can save the photo below on Pinterest. 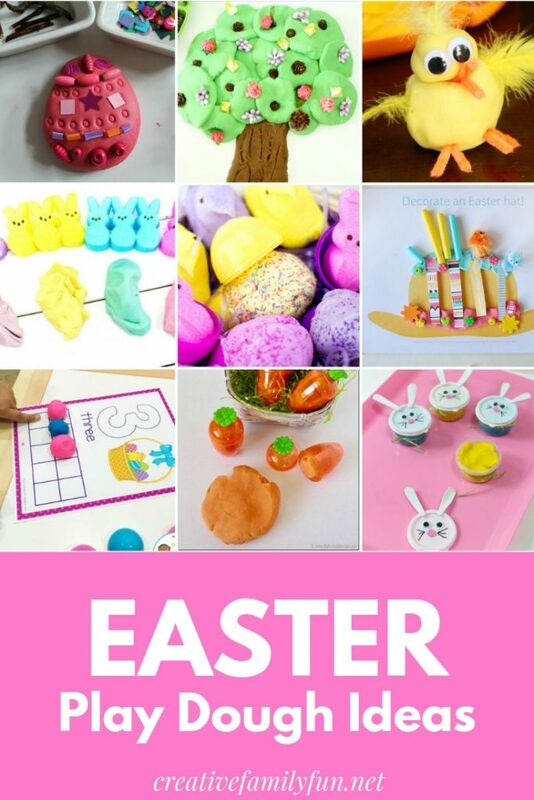 You can find all of our toddler activities at this link. What do you get when you combine science and art into a fun STEAM project? We continued our study of color by performing some experiments to find out what happens when you mix color. 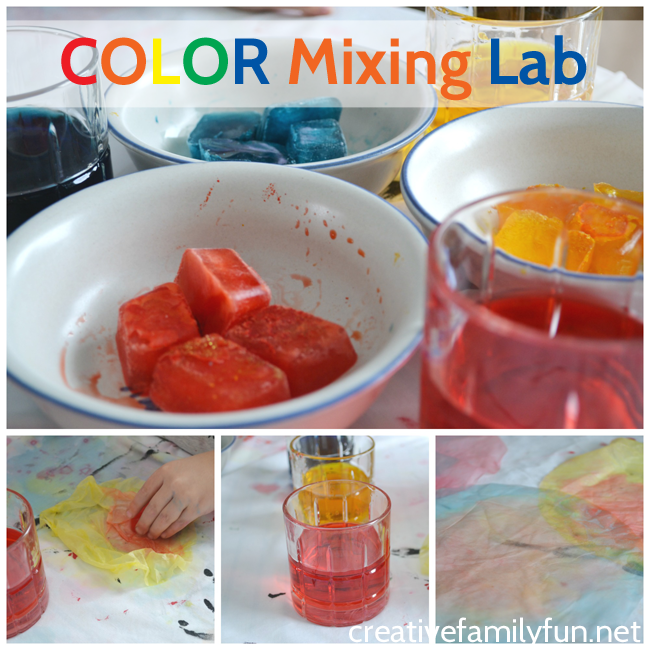 We used two basic forms of color: colored water and colored ice cubes. I prepped the ice a few hours earlier by adding a couple of drops of food coloring to the water in an ice cube tray. I only made the primary colors: red, yellow, and blue. When it was time to experiment, I also made three cups of primary colored water using food coloring again. I set up the lab with the ice cubes, water, and a pile of white coffee filters. I showed the girls how they could dip the filters into the water to dye them. The experiments began in earnest. 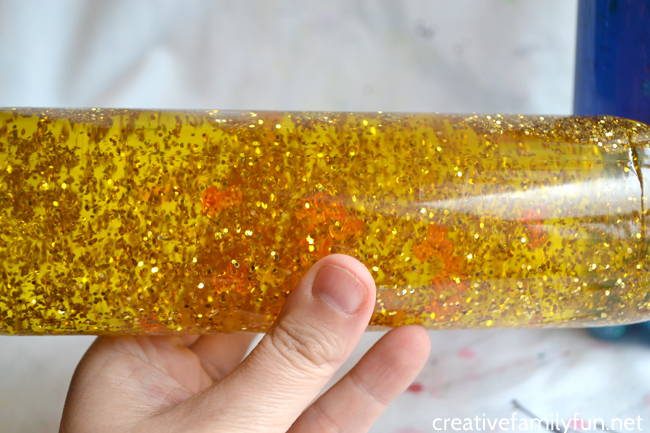 We’d dip in blue and then use a yellow ice cube to color over it. Suddenly we had green! We tried red and blue and got purple. 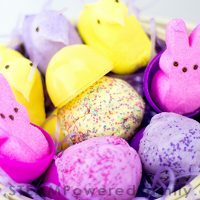 It wasn’t long before we had a pile of colorful coffee filters and a couple of girls wondering what would happen if they dipped a coffee filter in all of the colors? The result, a “beautiful” brown coffee filter! When we ran out of coffee filters, we took our experiments one step further. It was time to mix the water and the ice cubes. We dropped the yellow cubes into the blue water and watched as the water quickly turned from blue to green. 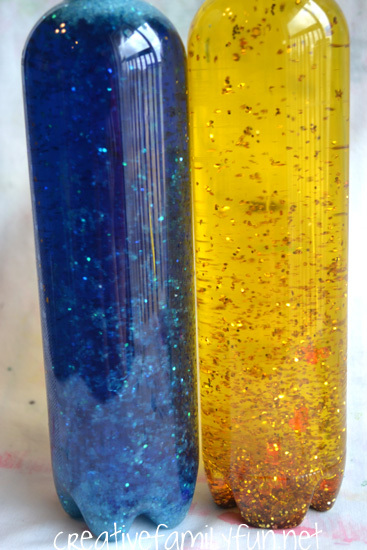 Drop, drop, drop, and suddenly our primary colors turned into secondary colors. Experimenting with color is a fun and vibrant way to mix a little art and science together. 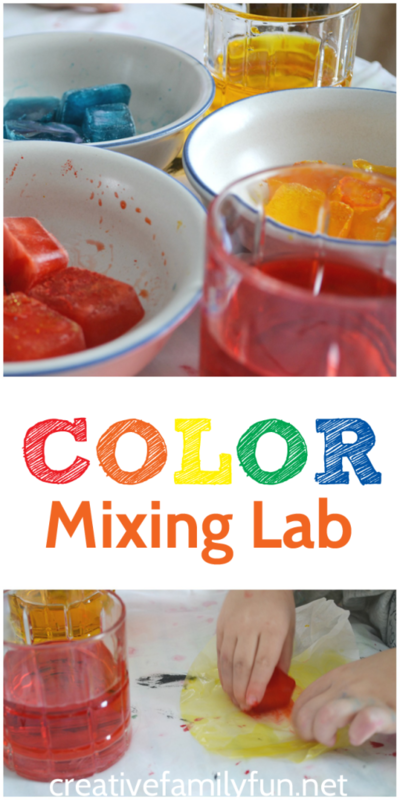 Set up your own color mixing lab; it’s fun for preschoolers and school-aged kids! 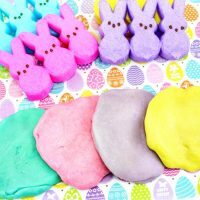 What is your favorite way to experiment with color?